Outflow from the dam across the Colorado River that forms Windy Gap Reservoir. Taken during a field trip the reservoir in September, 2017. GRAND JUNCTION — Bringing more certainty to an unruly and unpredictable Colorado River system was a common theme among water managers speaking at the Colorado River District’s annual seminar Friday­­. Although the drought that has gripped much of the Colorado River Basin for the past 16 years has eased up a bit, population growth and the long dry spell have pushed the river’s supplies to the limit, with every drop of water in the system now accounted for. Meanwhile, the effects of climate change on the Colorado’s future flows are still a big question mark, and it could mean wide variability in the years to come, with periods of punishing drought followed by a sudden record-setting wet year, as California recently experienced. Bill Hasencamp, general manager of Colorado River resources for the Metropolitan Water District of Southern California, described how in April 2015, snowpack in the Sierras was at an all-time low. But by this spring, it was at an all-time high, after a winter of heavy precipitation. The change in snowpack eventually led to huge fluctuations in water prices – from $1,800 per acre-foot at the height of the drought to just $18 per acre-foot this year, Hasencamp said. That kind of turbulence places enormous pressure on the Colorado River Basin’s big municipalities, which must secure their water supplies for millions of people, said Eric Kuhn, the general manager of the Colorado River District, which is based in Glenwood Springs and helps protect western Colorado’s water resources. Kuhn is retiring next year and was making his last formal presentation as general manager of the river district. As he heads into retirement, he’s working on a book with author John Fleck about the history of managing the Colorado River and the creation of the Colorado Compact. “The reality is — and we all have to accept this — big-city providers need certainty,” he said. However, Kuhn said he didn’t think that means more transmountain diversions from the Western Slope. The most obvious source of additional water for cities is agriculture, which holds the lion’s share of senior water rights on the Colorado River, but no one is eager to see rural areas sacrificed for urban growth, Kuhn said. So, he added, water managers throughout the basin are figuring out ways to adapt 19th-century water laws to a 21st-century reality. 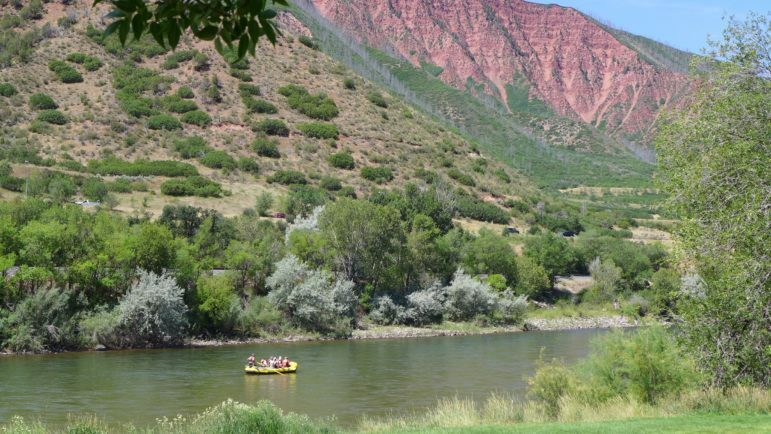 A commercial rafting trip on the Colorado River in Glenwood Springs this summer. The river, that flows through the heart of Glenwood, is watched carefully by water managers from Denver to Phoenix to San Diego. Cooperative agreements between irrigators and municipalities are one option, providing cities with additional sources of water during dry periods. Already, a three-year pilot initiative called the System Conservation Pilot Program has shown that farmers and ranchers are open to using less water in exchange for compensation. Beginning in 2014, four of the big Colorado River Basin municipalities and the Bureau of Reclamation contributed $15 million to fund water conservation projects throughout the basin. The program was in limbo after this year while officials worked out some issues, but Hasencamp said Friday that the funders have agreed to continue the pilot program for another year, in 2018. For water managers, these kinds of flexible arrangements, along with rigorous water efficiency, recycling, and reuse efforts, are the key to finding “certainty” on an inherently volatile river system. Still, those solutions will not be easy. 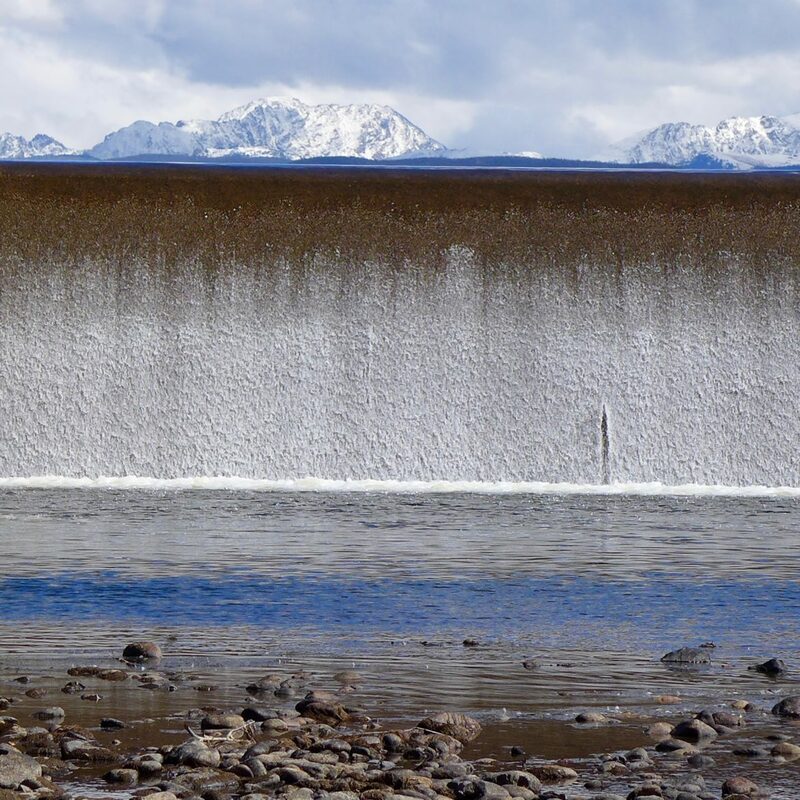 As Bill Trampe, a longtime rancher from Gunnison County, explained, less irrigation often comes with unintended consequences such as diminished return flows to the river and nearby fields. And as Lurline Underbrink Curran, the former county manager for Grand County, described, efforts to heal the destructive impacts of existing water diversions on the Fraser River, a tributary of the Colorado, means accepting that future diversions will in fact take place. “We tried to form friendships that would help us do more with what we had,” she said. California’s Salton Sea presents another dilemma, which reaches back up into the Colorado River system. The salty inland lake, created by an accidental breach in an irrigation canal, is drying up. Since 2002, the state of California has been paying the Imperial Valley Irrigation District to keep the Salton Sea on life support by delivering 800,000 acre-feet of water, but that initiative expires at the end of this year. Continuing the water deliveries means using up more of the Colorado River’s dwindling supplies, but letting it dry up means exposing local residents to a lakebed full of toxic dust. None of these problems is new, but as many of the speakers at the river district’s annual seminar explained, water managers now have more tools than ever before to address those challenges — and new urgency with which to apply them. Recent successes include the successful negotiation of an updated binational water agreement between the U.S. and Mexico, called Minute 232, that is expected to be signed this month. It will outline how the two countries share future shortages on the Colorado River. Editor’s note: Aspen Journalism is collaborating with the Glenwood Springs Post Independent, the Aspen Times, the Vail Daily and the Summit Daily News on coverage of rivers and water. The Post Independent published this story in its print edition on Sunday, Sept. 17, 2017. The Aspen Times published it in its print edition on Monday, Sept. 18, 2017. The Vail Daily published it in its print edition on Sept. 18, as did the Summit Daily News.